Welcome to the online home of SAMMS, the ‘Sub-Arctic Metal Mobility Study’. 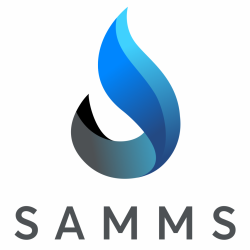 SAMMS is one of several projects supported by the ‘Global Water Futures: Solutions to Water Threats in an Era of Global Change’ program. Read the announcement of our project launch. Read the Global Water Futures news release. SAMMS will undertake an array of field, laboratory and modelling studies, four of which will be completed during the first three-year phase. Research has been designed to comprehensively trace the transport and behaviour of dissolved organic matter (DOM) and metals through terrestrial and aquatic ecosystems in headwater catchments along a 200 km airshed transect between Giant Mine and Whatì, an area of concentrated mining activity. The study will build upon previous research in the Slave River Delta, where high concentrations of arsenic were discovered in lake sediments corresponding to when emissions from Giant Mine in Yellowknife were greatest. The new study contributes to an understanding of how legacy pollutants from mining activity may move through the landscape, potentially affecting drinking water quality and aquatic organisms in a negative way. The project will include collaboration with faculty from the University of Saskatchewan, the University of Waterloo, the University of Ottawa and the Norwegian Institute of Water Research, as well as a number of northern agencies and Indigenous organizations. Sign up for our newsletter to keep informed of our research progress and plans. Heading to a two-day meeting of all Global Water Futures-funded projects. Everyone from the GWF’s core teams of technicians and Laurier’s Yellowknife office will be there. It’s a time to talk shop and strategies.